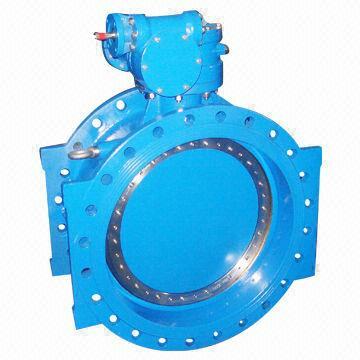 The double flanged butterfly valves with eccentric disc are applied in the pipelines as shut-off device and as regulation valves, thanks to the gear box that can stop the disc in many intermediate positions. These double flanged butterfly valves with regular face to face DIN 3202 F4 allows the perfect exchange with regular flat body gate valves, whenever needed. The double flanged butterfly valves have body and disc in GGG40-50, body seats in bronze, gasket on the disc in NBR. 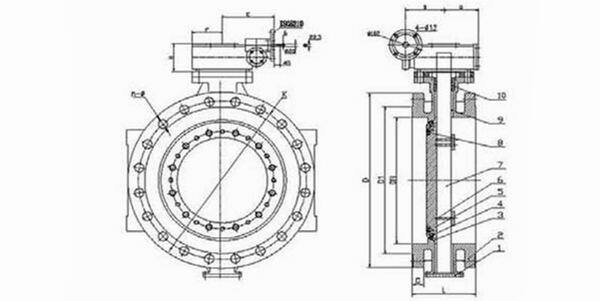 The double flanged butterfly valves can stand both directions of fluid; gasket seals are on the disc and can be replaced without dismantling the valves from the pipeline. The double flanged butterfly valves with double eccentric disc can be installed in drinking water plants, being painted with epoxy powder. The gear box is suitable for electric actuator and installation is easy, taking off the handwheel from the gear box itself.